Facebook has launched its first hub space in Africa to bring together communities to collaborate, learn and exchange ideas in Lagos, Nigeria. As part of its commitment and ongoing investment in Africa, Facebook has unveiled NG_Hub in Lagos, Nigeria - its first flagship community hub space in Africa, in partnership with CcHub. In a week-long celebration which will bring together developers, startups, and the wider tech community across Lagos and Nigeria, the launch will showcase the new multi-faceted space which aims to bring together communities to collaborate, learn, and exchange ideas. 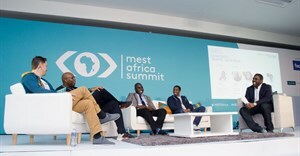 With creativity and excellence existing across all of Nigeria, Facebook also announced partnerships with seven other hubs across the country including in Abuja (Ventures Platform), Jos (nHub), Kaduna (Colab Hub), Kano (DI Hub), Uyo (Start Innovation Hub), Enugu (Roar Hub) and Port Harcourt (Ken Saro Wiwa Hub). These will serve as centres of excellence and will feature dedicated Facebook spaces, where many of Facebook’s training sessions will take place, and a space where creatives and developers can book to help them advance their skills. 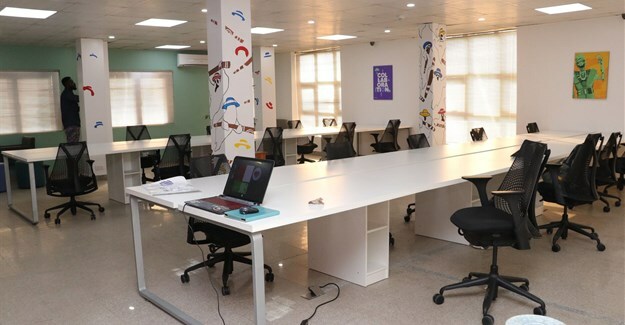 Featuring bespoke works of art from local artists in Nigeria, the NG_Hub space, which includes workspaces, meeting rooms, games and chill out room, an event space and a well-catered café, will also be the focal point for a number of training programmes. The FB Start Accelerator programme - a research and mentorship-driven programme aimed at empowering start-ups and students with technical and business support and funding to optimise their product for growth – focused on those building solutions using advanced technology, with a focus on Artificial Intelligence (AI), Machine Learning, Augmented Reality (AR) and Virtual Reality (VR). Digify Pro Nigeria - a two-month intensive boot camp , where 20 aspiring digital professionals will learn what it takes to have a career in digital marketing. The programme is designed to fit the specific needs of industry, covering a range of topics including community management, content and e-mail marketing, brand online reputation management, UX design and more. Boost Your Business - Made especially for micro, small and medium sized businesses owners, Boost Your Business is a one-day training that teaches digital marketing for business growth. #SheMeansBusiness – the first to launch on the continent, #SheMeansBusiness is a one-day training workshop and networking experience for female entrepreneurs, offering a mix of business and digital marketing training for women led businesses, along with additional opportunities to network with fellow female entrepreneurs. As part of a week-long of celebrations, Facebook will host a number of events this week, aimed at engaging the different communities in Lagos, and across Nigeria. “The NG_Hub highlights our ongoing commitment to supporting local talent in Nigeria. We’re delighted to be partnering with CcHub here in Lagos, as well as with many other hubs across Nigeria to deepen our engagement, increase skills development and support the next set of innovators, tech entrepreneurs, start-ups, and others in our collective bid to change the face of technology and grow the economy,” said Ebele Okobi, director of public policy, Africa.